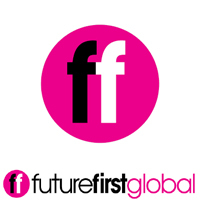 Future First Global is looking for an experienced Project Manager to lead our team in Dar es Salaam to deliver a portfolio of activities as part of the Lending for Education in Africa Partnership (LEAP) – an exciting initiative being piloted in Tanzania and Kenya for the first time. This is a dynamic and varied role and will involve designing and delivering a comprehensive community building programme, to support academic success and create pathways to employment for the ‘LEAP Fellows’ – selected recipients of the LEAP Programme. The successful candidate will have sole responsibility for the design and delivery of LEAP programme activities in Tanzania. The Lending for Education in Africa Partnership (LEAP) aims to pilot and scale a non-profit social lending fund dedicated to strengthening economic prosperity in Sub-Saharan Africa by providing affordable higher education loans to students, incentivising their academic success and creating pathways to gainful employment. LEAP’s lending will be directed towards youth from low and middle-income backgrounds who are currently unable to secure credit from conventional commercial banks and for whom bursaries and scholarships are not yet available - “the missing middle” of higher education finance. Since January 2018 our team in Kenya have been working to establish the pilot programme with five universities in Nairobi. The team have developed a comprehensive programme of community building, academic coaching and careers support that will be delivered to LEAP Fellows alongside their studies to help them thrive in their academics and future jobs. The learnings have been significant and this role will work closely with the team in Kenya to develop these for the Tanzanian context. Our HQ is based in London, but we have worked on projects in Rwanda, Kenya, Sierra Leone, Australia and the UK. You will be working directly with two members of staff, one based in the UK and the other in Singapore. We are delivering the LEAP Programme in partnership with Volta Capital, Equity Group Foundation, Lundin Foundation, and the Mandela Institute for International Development Studies (MINDS). • Implementation of an engagement strategy to ensure a high level of programme participation. • Writing, editing and designing a regular newsletter about the LEAP Programme. • Develop case studies for use in communications and monitoring. We understand that candidates may not have experience of every part of this programme. Most importantly, we are looking for someone who ‘gets’ what we are doing and can provide strong evidence of experience in community building and project management. • A willingness to travel around Dar es Salaam regularly and elsewhere in Tanzania occasionally. Please send a copy of your CV (of no more than two sides) and a cover letter explaining why you think you are the right person for this role to Stella McKenna at careers@futurefirstglobal.org. The application deadline is Monday 27th August 2018 – applications submitted after this time will not be considered. • Initial interviews will be taking place on Skype on either Tuesday 4th or Wednesday 5th September. • Second round interviews will take place in person on Thursday 13th or Friday 14th September in Dar es Salaam. Please indicate in your application email if you are unavailable for any of the dates outlined above.